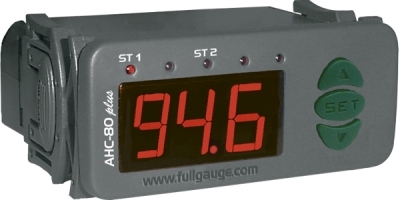 Controller for monitoring and controlling temperature and humidity. It has three outputs: one for temperature control, another for humidity control, and a third one for auxiliary purposes, which may operate as a second stage for temperature control, humidity control, alarm, or cyclic timer. It is intended for low and medium relative humidity applications (10% to 85% with no condensation) and features an internal audible alarm (buzzer). Its temperature and humidity sensors are combined in a single bulb, saving space and wiring. 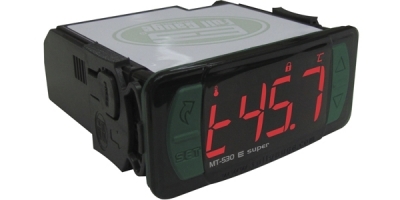 Additionally, it includes an intelligent locking system to prevent unauthorized people from changing control parameters.It has a serial communication for connection to Sitrad.Evolution line products has a frontal IP-65 protection, Flatec key for easy access, four digits display and exclusive accessories* as the key programmer EasyProg and the protective case Ecase. Trimac markets HVACR brands in new and exciting markets. To date, the company has introduced several new products in the Middle East, Africa, India and North America. Help organizations grow beyond their home markets. Match market needs with innovative products, services and strategic alliances.